Number six seed Nicolás Jarry of Chile was eliminated in the first round of the Argentina Open on Monday. Albert Ramos Viñolas of Spain, Christian Garín of Chile and German Maximilian Marterer also advanced. Ramos Viñolas beat Brazilian Rogerio Dutra Silva 6-3, 6-4, and Garín eliminated Felix Auger-Aliassime of Canada with a 3-6, 7-5, 6-3 win at the clay-court tournament. Marterer posted a 6-4, 6-2 victory over local favourite Facundo Bagnis. 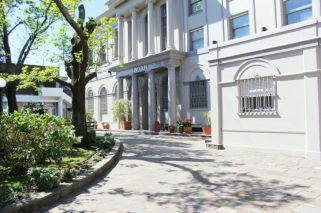 Monday, Buenos Aires Lawn Tennis Club, Buenos Aires, Argentina. 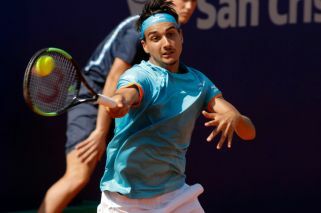 Lorenzo Sonego, Italy, defeated Nicolás Jarry (6), Chile, 6-7 (3), 6-4, 6-3. Albert Ramos Viñolas, Spain, defeated Rogerio Dutra Silva, Brazil, 6-3, 6-4. Maxi Marterer, Germany, defeated Facundo Bagnis, Argentina, 6-4, 6-2. Christian Garín, Chile, defeated Felix Auger-Aliassime, Canada, 3-6, 7-5, 6-3. Marco Cecchinato, Italy, and Dusan Lajovic, Serbia, defeated Federico Delbonis and Guillermo Duran, Argentina, 4-6, 6-3, 10-8. Roberto Carballes Baena, Spain, and Malek Jaziri, Tunisia, defeated Sander Gille and Joran Vliegen, Belgium, 6-3, 7-6 (4). Marcelo Demoliner, Brazil, and Frederik Nielsen, Denmark, defeated Marcelo Arévalo, El Salvador, and Jamie Cerretani, United States, 6-3, 3-6, 10-5.